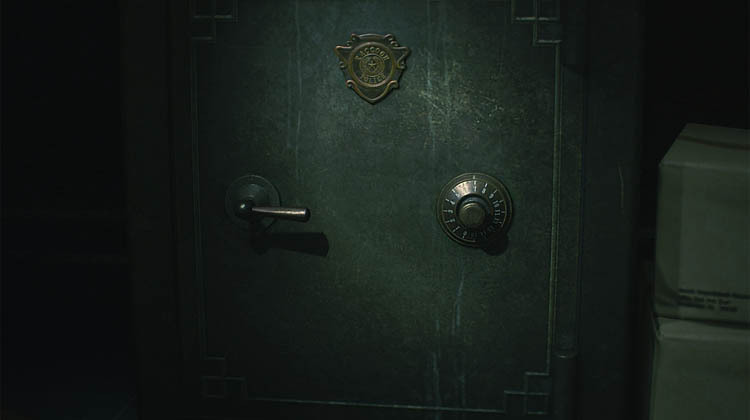 In the Resident Evil 2 Remake there are a number of safes, lockers, padlocks and portable safes to unlock, each one with loot hidden inside. In this guide you'll find solutions for all of the the codes and numbers required to open each. Note, this guide applies to the full game and NOT the demo. In total there are: 3 x lockers, 3 x Safes, 2 x Portable Safes and Leon's Desk Drawer. Hidden inside these locked areas are a mixture of weapon upgrades, ammunition and hip pouches. In ALL cases, it's worth the few seconds you'll spend to open them when encountered. Successfully unlocking both padlocks will open the desk to reveal either: a High-Capacity Magazine for the Leon's side arm (Matilda), OR, a Speed Reloader for Claire's revolver. In either case, this weapon upgrade is most welcome considering how early in the game it is. 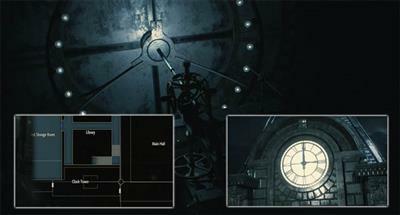 There are three safes in the RE2 map and each one offers either a Hip Pouch or a weapon upgrade part as a reward (depending on which character you are playing as). Opening a safe is fairly straightforward so long as you know the code. Rotate the dial either left or right until you reach a certain number, then rotate the opposite direction to stop on another number, then finally rotate back the same way again and stop on the final number. Hit X to confirm the sequence and the safe should open. If done incorrectly, the interaction screen closes and the player must interact with the safe again for another attempt. Considering the short time to enter a safe code, and the 100% safety from zombies whilst doing so, the rewards are highly lucrative. Safe Combination: Left 9, Right 15, Left 7. Safe Combination: Left 6, Right 2, Left 11. Reward: Muzzle Brake for Leon, or, Extended Mag for Claire. Safe Combination: Left 2, Right 12, Left 8. Reward: Shotgun Stock for Leon, or, Hip Pouch for Claire. Portable Safes are small versions of a traditional safe with a more modern and time consuming opening procedure. To open a portable safe players have to press the buttons in the correct sequence to light up the entire dial on the device in green lights. The buttons are mapped to a particular spot on the circular dial and correctly pressing a right button will keep the green light on. It's basically about trial and error with these devices, just pay attention to the last green light that flashes to understand the next button in the sequence. There are only two portable safes and the reward inside is very similar. Each one contains a missing number pad (key) from the Safety Deposit room (where the Shotgun locker is). With the missing number pads added to the control panel, you can open additional lockers for either an additional Hip Pouch or other consumables in the Safety Deposit room.